The highly anticipated Halloween Terror event for Overwatch has arrived! Despite my previous hopes, not much has changed concerning the event itself. The roster of available characters has been expanded, including characters that were an option during Junkenstein’s Endless mode as well as Brigitte. Symmetra’s rework has slightly changed the gameplay; rather than place her shield generator as she appears, she immediately uses her ultimate ability, causing a shield wall to span the entire map. I would argue that this actually makes gameplay easier because the only ones at a disadvantage here would be any sniper characters until the wall disappears. Torbjörn’s rework is also live with this update, making him quite fun to play considering you get to pour lava on the ground and watch as your enemies stumble right into it. Despite being disappointed with the overall lack of change, I am quite fond of the character interactions that are now available. Hearing Torbjörn and Brigitte banter about who is the better engineer and Zenyatta give his sass about having a healthy diet makes for some humor that is much appreciated. The new character skins are among some of my favorites as well, including Doomfist’s Swamp Thing (lookin’ at you, Guillermo) and Wrecking Ball’s Jack-O’-Lantern. 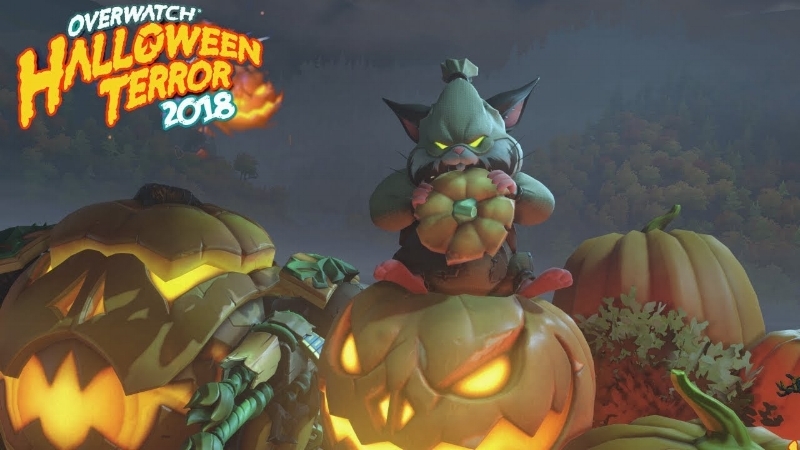 What’s your favorite Halloween skin? Leave us a comment below or a voicemail at (347) 509-5620.